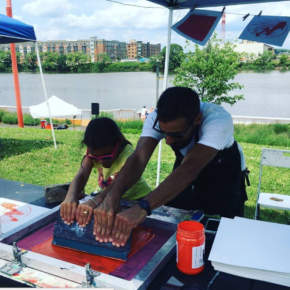 LIVE PRINTING is our outreach initiative to bring printmaking from our shop straight to you! 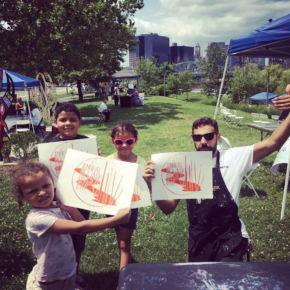 We can print anywhere, and are excited to introduce you to printmaking. 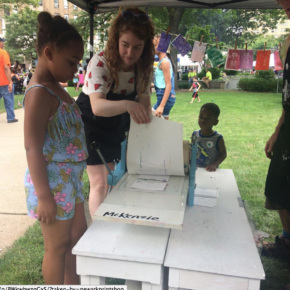 NPS wants to print at your school, community center, farmers market, party, corporate event.. basically anywhere and everywhere! 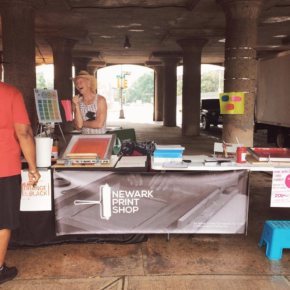 PAST CLIENTS include City of Newark, Better Block Newark, NCEDC Gala, La Casa de Don Pedro Gala, Prudential Center, NJ Devils, Halsey Street Block Party, Riverfront Park/River Day, Rutgers Day, East Orange Macfest, NJ Spotlight on Cities Conference/Art Pride NJ, Woof Fest, Maker Faire, Afro Beat Fest, and more! Are you excited as we are?! Well, then what are you waiting for? Fill out the form below! 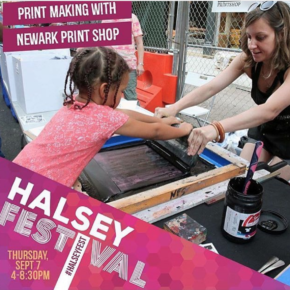 What is your event date for live printing? Approximately how many people will be at your event? 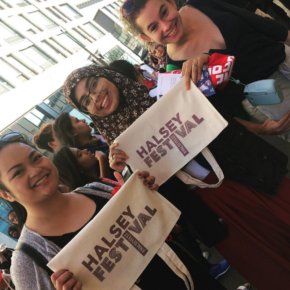 What would you like us to print on as giveaways to your guests? Do you have a specific graphic or logo you would like us to print? Would you like us to design a custom graphic for you for an additional fee? 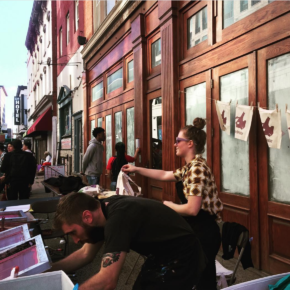 All live printing engagements will be for two hours unless otherwise discussed. 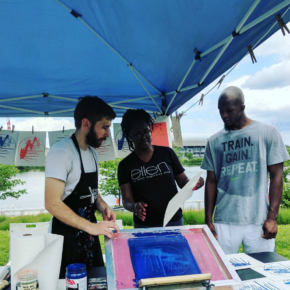 NPS will provide two professional printmakers, and all materials, tools, and equipment to screenprint on site at your event. We require electricity if we are printing on t-shirts or tote bags. All print work done by NPS is subject to photography and/or video documentation to be used for advertising or purposes of demonstration unless otherwise noted by the client. We offer artwork services to clean up files if you are not able to produce a quality image. Pricing for this service is determined on a case by case basis. Payment must be made in full before we can book your live printing. We accept Cash, Credit Cards, Checks and Square payments.